Claim a secluded spot in the shade, stroll the beach, go sailing on a Hobie Cat, try paddleboarding or sea kayaking. 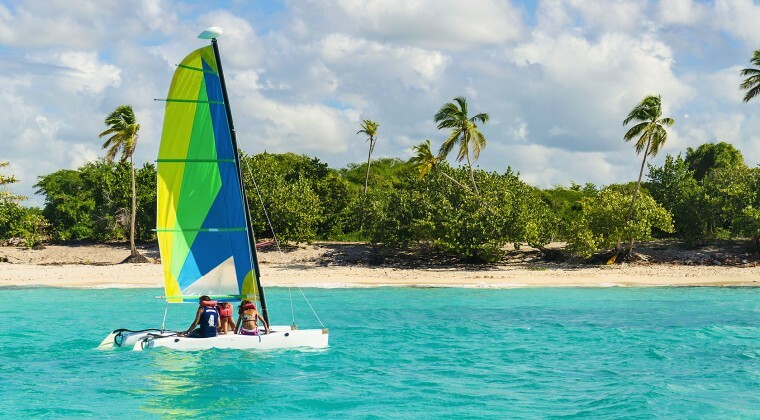 Arrange a private catamaran cruise for a group as small as two. At The Villas, it’s all about whiling away the day in happy pursuit of low-key leisure. Guests enjoy complimentary access to the ten–acre Sports Complex at nearby Couples Swept Away. Located just minutes from The Villas, this exceptional facility features a fully equipped gym with cardio and weight training equipment, a 25-meter lap pool, tennis, squash and racquetball courts, and much more. (Note: Guests must be 18 years or older to access the facility). If you’d rather explore the island, allow us to arrange excursions to some of our favorite spots, including YS Falls, Dolphin Cove Negril, Appleton Rum Estates, Blue Mountain Coffee Plantation Tour and the Bob Marley Museum.